Considering that LG has been the company behind three Nexus handsets, comments made by Google executive David Burke are not surprising. Burke, the vice president of Android engineering at Google, said in a video press conference, "Our engineers really like to work with the people at LG Electronics. Together they have become an excellent team." LG made its Nexus debut with the Nexus 4, which was released in November 2012. Halloween night the next year, Google delivered a treat with the LG built Nexus 5. After a one-year hiatus, the manufacturer was back this year with the Nexus 5X, one of two new stock Android Nexus handsets unveiled last month. What Burke's comments mean about future Nexus models isn't totally clear. A new Nexus manufacturer was added this year with the Huawei built Nexus 6P. It is too early for Google to discuss its intentions for the Nexus program next year, but that doesn't mean we can't ask questions. Will Google continue serving up two different models again next year, or will it return to the one Nexus-per year format it had used since the Nexus One was launched in 2010? The Nexus 6P is a higher-end model than the Nexus 5X is, and if demand warrants it, Google might decide to continue to serve both the mid-range and high-end markets again next year. For those interested, Samsung's pair of Nexus models (Nexus S, Samsung Galaxy Nexus) puts it just one behind LG. Other manufacturers include HTC (Nexus One) and Motorola (Nexus 6). 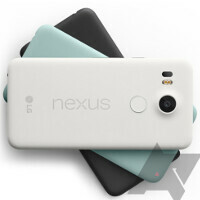 Overall, eight Nexus branded phones have been released. Yeah LG was the best and will be the Best Nexus Manufacturer :-) FTW LG, irrespective to nexus looking at LG V10 engineering LG is back in Mobile market, Kudos ! I agree that the Nexus 4 I had used to make me drool every time. I wish they would bring that design back. However, just on an anecdotal basis, I'm noticing MUCH more interest in the Nexus 6P than the other gens. I really believe Google has hit this one out of the park with the 6P, despite the peculiar design. So Nexus 2016, LG again!! The best two Nexuses so far have been the 4 and 5 IMO, so that good relationship is proving fruitful to the customer. Good on LG. Despite some people here clamoring for it, I doubt there will ever be a Sony Nexus. Where's the business case for such a thing? I think they picked Huawei this year because they needed a top notch device on the cheap. Google need to bring their Nexus brand to more countries. That way, those that like stock could easily get the Nexus delivered and cover by their local warranty. I think Nexus brand has reached critical mass. LG should just leave the software up to Google and go stock only. Couldn't agree more. I would love to see LG rock stock Android on all their devices. That would be awesome. I would rock LG phones from here on out if that were to happen. They shouldn't have said that. This will make the other manufacturers weary of Google for possible favoritism. I think they should also count htc nexus 8 and Samsung. nexus 10. I still wish they'd push another htc nexus... As much as people hate I feel like htc is falling more from a series of unfortunate events.. And some bad decisions as opposed to straight up disrespect of the user that some people insist. Hopefully we get a budget friendly set of tablets next year in 8 and 10 inch versions. The Pixel C is going to cost towards the higher end of the spectrum and so we need successors to the Nexus 7/8 and 10. Plus it doesnt hurt that LG makes almost everything they put in their phones. Keeps costs down. Thats why LG nexus devices are so affordable.